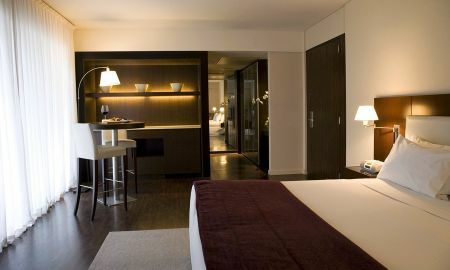 Hotel Madero Buenos Aires features beautiful rooms with unique interior design. Modern and spacious, they offer an abundance of natural light and all have a private balcony. Some rooms have access to the M Club Business Center, with secretarial services and coffee. Free Wi-Fi is available in all rooms of the hotel. Enjoy a nutritious breakfast with fresh, healthy products to start the day with maximum energy. The Red Resto & Lounge, run by chef Alejandro Bontempo, features an exclusive wine cellar and delicious cuisine. The White Bar is the perfect place to relax with a drink accompanied by tapas or sushi. It has a wonderful terrace and a pool table. 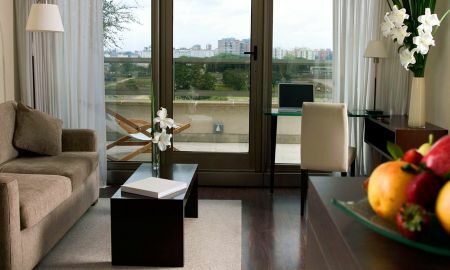 The Madero Hotel Buenos Aires offers a spectacular relaxing area with stunning views of the city. The Madero Spa, located on the top floor of the hotel, features a sauna, jacuzzi, gym, massage room and indoor pool. It also offers various beauty treatments. 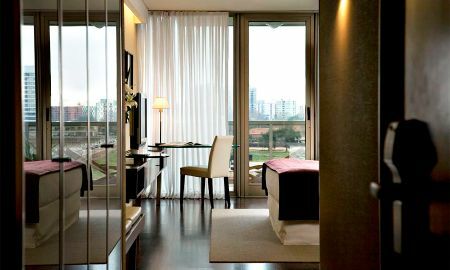 Hotel Madero Buenos Aires is just a 10-minute walk from the Puente de la Mujer (Woman's Bridge), designed by Santiago Calatrava. The hotel is also 1.1 km from Dorrego Square, in the heart of the Bohemian quarter of San Telmo. 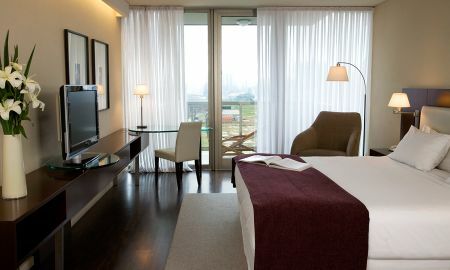 The hotel offers a shuttle service that provides connections to Ezeiza Ministro Pistarini Airport, 31.5 km away. Please note that children stay free in extra beds, providing there is availability. Please note that USD 100 per day will be charged as a guarantee.